Just listed in the beautiful Dune Condominium on Hutchinson Island of Jensen Beach is this gem! This two bedroom two bathroom unit is spread out over a generously scaled floor plan of one thousand eight hundred and forty square feet of perfectly appointed living space. The spacious suite style bedrooms have their own private verandas. The master suite offers panoramic sparkling ocean views! The Dune Condominium is a quaint Mediterranean style building with only thirty one unique jewels. With verandas facing east and west you can enjoy the sunrise and the sunsets! This oceanfront resort style community is meticulously landscaped with mature lush gardens. The roofs were recently replaced and the buildings just painted. This unit features a ten by ten walk in storage space and secure underground gated parking. The condo is bright and airy with a rare sense of seclusion. 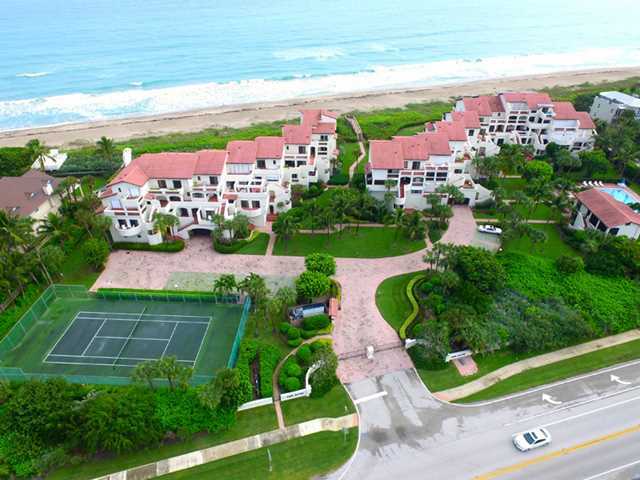 4751 NE Ocean Blvd unit A-12 is located on Hutchinson Island and is currently asking $650,000.00. Residents of the exclusive Dune Condominium can enjoy everything from just steps to the pristine beaches of the treasure coast using a private walkway bridge to a sparkling swimming pool and tennis courts. There is an additional membership that can be purchased for The Island Dunes Country Club for private golf, tennis and boat slips.